Dr. Christy Sheehy co-founded C. Light and brings 12 years of technical and leadership experience in the optical engineering realm, numerous publications / presentations, and current clinical experience with MS patient populations. She worked as an optical system test engineer at Corning Tropel Corporation and designed the TSLO through her dissertation at UC Berkeley. She has designed 8+ TSLO systems (for UC Berkeley, the Midwestern school of optometry, the University of Bonn, and UCSF’s MS Center). She successfully acted as the PI for an SBIR Phase I grant entitled, “Retinal eye-tracking as a diagnostic tool for traumatic brain injury and concussion” and was the PI for the Phase I STTR investigating MS. She was educated at the University of Rochester (B.S. in Optics and M.S. in Optics with a concentration in Business Administration) and UC Berkeley (Ph.D. in Vision Science). 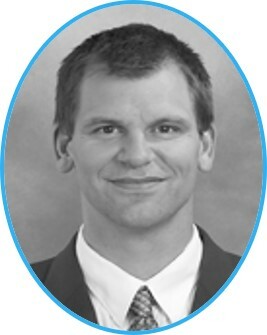 Dr. Zachary Helft co-founded C. Light and brings over 10 years of neuroscience and regulatory experience to the team. He worked in the Technical Process Support team at Regeneron Pharmaceuticals to develop and transfer a GMP biologics manufacturing process to an international site. He was also part of regulatory interactions to manage quality systems documentation. Dr. Helft helped to launch Regeneron’s first large-scale biologic to the market, Eylea. He is the author of multiple research articles and two successful grant applications. Dr. Helft brings his GMP and regulatory background from his time at Regeneron and mixes it with his scientific background in neuroscience. He was educated at Colgate University (B.S. in Cellular Neuroscience) and UC Berkeley (Ph.D. in Vision Science). Ethan Bensinger brings an expertise in ophthalmic product development and data science. He manages all of C. Light’s neural network development, including overseeing external data science teams. He also leads the development of C. Light’s hardware and software products, from device manufacturing to user interface dashboard development. He is a Vision Science Ph.D. candidate at UC Berkeley. Elan Tye brings extensive experience on the business side of healthcare as an operator, consultant, and venture capitalist. He worked for several startups in the neurotech and AI space, leading business development efforts. He transitioned to the Boston Consulting Group and Monitor Deloitte, focusing on strategic planning, go-to-market strategies, financial modeling, and data analysis for executives in the life sciences and healthcare spaces. Elan currently works with UCSF-based founders as an advisor and as a venture capitalist in the neuroscience space. He has been educated at Tufts University (B.A.) and UC Berkeley's Haas School of Business (M.B.A.).